Here’s is the today’s Daily GK Current Affairs of 24th August 2018. 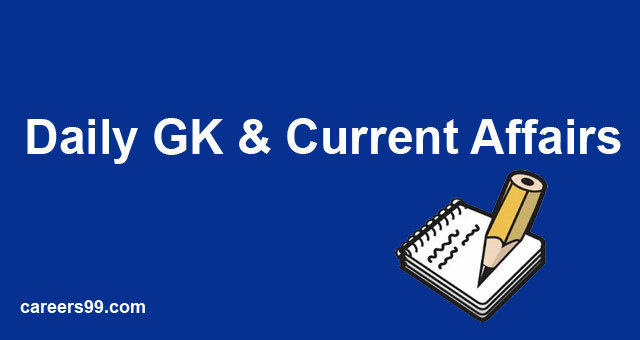 Here we have given the latest updates with important news and GK Current Affairs for upcoming bank exams, online government exams. The GK Current Affairs you can also access through PDF. Check this Daily Current Affairs Video and acquaint yourself with the current events for the preparation of various Government Exams. For the International routes the Government Unveils Draft UDAN scheme for identifying the routes for operation. The IAC Scheme aim is to increase the international ticketing too score by 2027. NGT appointed the S J Vazifdar and a head of 3 member committee former of Punjab & Haryana High Court Chief Justice to challenge closure of copper plant at Tuticorin. The chair person A K Goel stated credible mechanism which rival connectionscam be made and has been evolved. Top seeds Rohan Bopanna and Divij Sharannotched up their maiden men’s tennis doubles gold medal at the Asian Games, in Palembang, Indonesia. Bopanna and Sharan defeated Aleksander Bublik and Denis Yevseyev of Kazakhstan. Indian rowers Sawarn Singh, Dattu Bhokanal, Om Prakash and Sukhmeet Singhwon the men’s Quadruple Sculls to win India’s fifth gold medal at the Asian Games 2018. Ujjivan Small Finance Bank,a wholly-owned subsidiary of Ujjivan Financial Services Ltd, has launched an overdraft (OD) facility for micro and small enterprise (MSE) customers across its branches nationally. Treasurer Scott Morrison has been elected the new Prime Minister of Australiaafter winning an internal vote of 45-40 against former Home Affairs Minister Peter Dutton. Morrison will take over the charge as PM from Malcolm Turnbull.